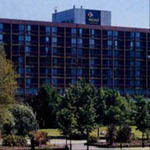 Liverpool Moat House Hotel is a four star hotel located close to the city center, and the Liverpool shoreline. The hotel has 251 rooms, 24 - hour service. There is also a multistory car park. Hope Street Hotel is located in the center of the cultural block, between the cathedrals, surrounded by theatres and restaurants. Built in 1860, in Venetian style. The hotel has 48 rooms, each decorated in its own style. The hotel is situated at Albert Dock road, faces the wharf and Liver birds. 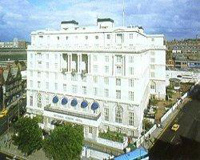 Rooms are in very good condition, with all conveniences of a 4* hotel, including some rooms overlooking the wharf. The hotel has a restaurant with international cuisine, as well as spacious living room / bar overlooking the river. Modern building. The entrance hall is large, modern, with large leather chairs and marble floors. A good hotel in a very convenient place, close to all Liverpool attractions. It is a traditional elegant building. The entrance hall, lounge and bar are with beautiful ceilings, marble columns, oak panels on the walls, chandeliers and palm trees. The hotel is located in the city centre, at 9 miles from Liverpool airport, not far from the railway station at Lime Street.